Wow, did this month go fast! It's hard to believe it's time to write another update to all of you! August saw some exciting new things going on and sets us up for a whirlwind to the end of the year. It's like the precursor to a big storm, you can see the clouds rolling in and the wind is picking up, but you don't quite know what all is in store! The Battle Begins: Full-Art Booster Pack went on sale on August 2nd and many of you have taken advantage of them and we have had strong sales to start. 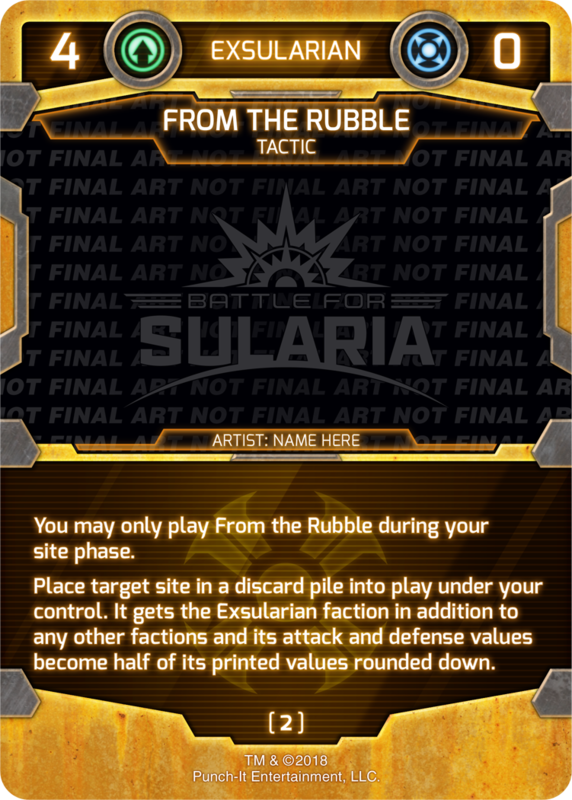 If you are already an existing player of Battle for Sularia: The Card Game, then you do not want to miss out on this opportunity to bling out your deck. These items are selling quickly and when they are gone we will discontinue them for a while. They may return at a later date, but that will all be determined by your overall demand for the product. Full-Art Booster Packs were released on August 2nd, 2018 and come in two different product offerings. 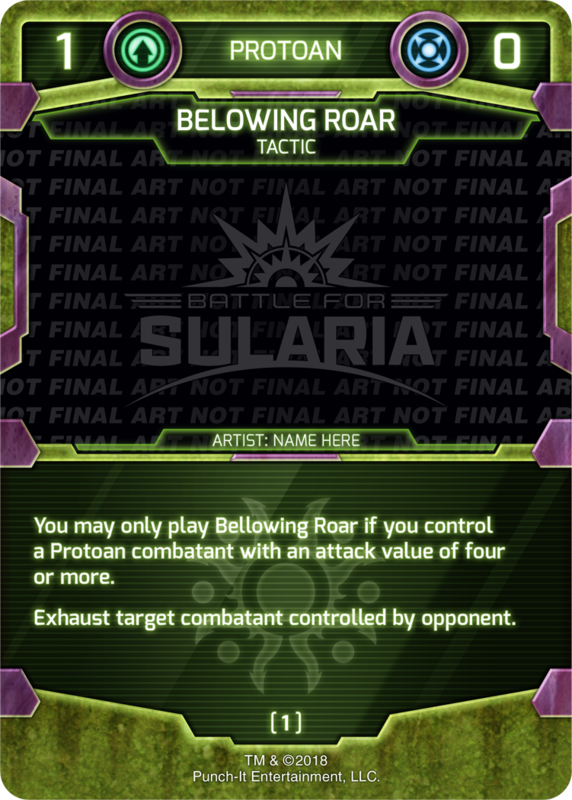 The individual packs can be purchased for $5.99 or if you want to try out randomized drafting of Battle for Sularia: The Card Game, then you can purchase our 4-Player Draft Pod package for $89.99. We won't go into full detail on the packs here if you would like to read more about them, head over to our blog post on the packs and get a complete rundown and determine which packs are best for you! These packs are a web exclusive offer and will sell out fairly soon. Re-order of the packs will not occur immediately, but they may return later this year or next. Reign of Terror development has been closed. We are in process of placing orders with our printers and we are on track for an early October release. We will begin showcasing more about the release as we get closer to that fateful October date. We will continue to take pre-orders right here on our site. Once the pre-orders sell-through, we will open up a wave 2 for those of you that missed out early on. If you are on the fence about ordering Reign of Terror, now is the perfect time to get in and make sure that you recieve your copy as it releases. 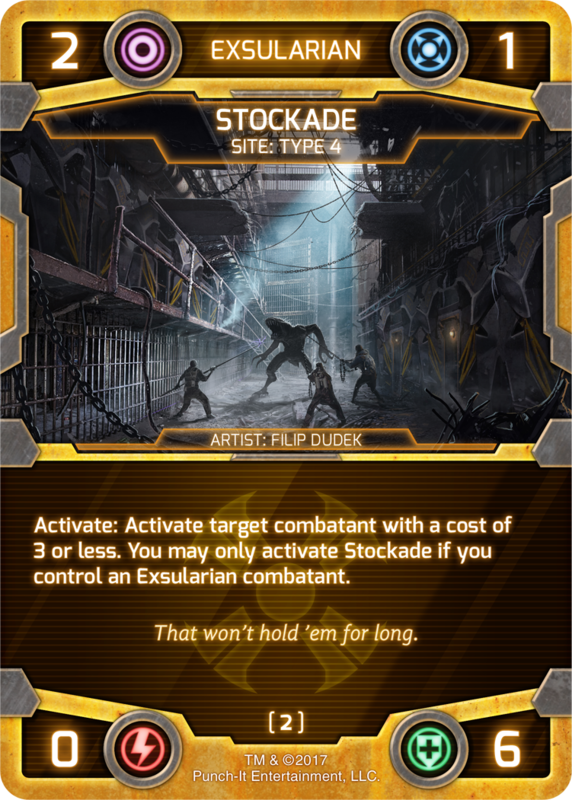 The Alpha Program heads into pack 7 and the back half of the escalation series release. This pack introduces some powerful new cards, that need your attention. 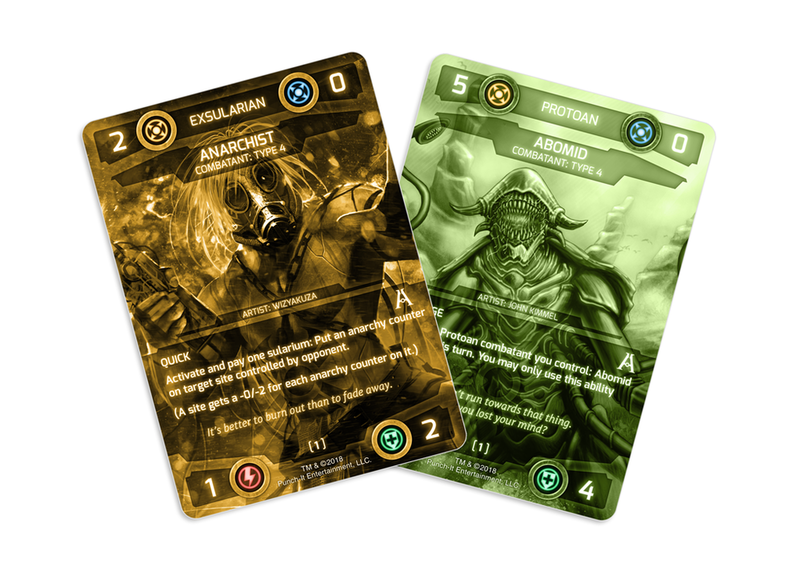 The idea behind the Alpha Program is for you our fans, to get an opportunity to try out new card designs before they are released into the final form. Playing games with these cards and providing us with feedback helps shape the final version of the game. 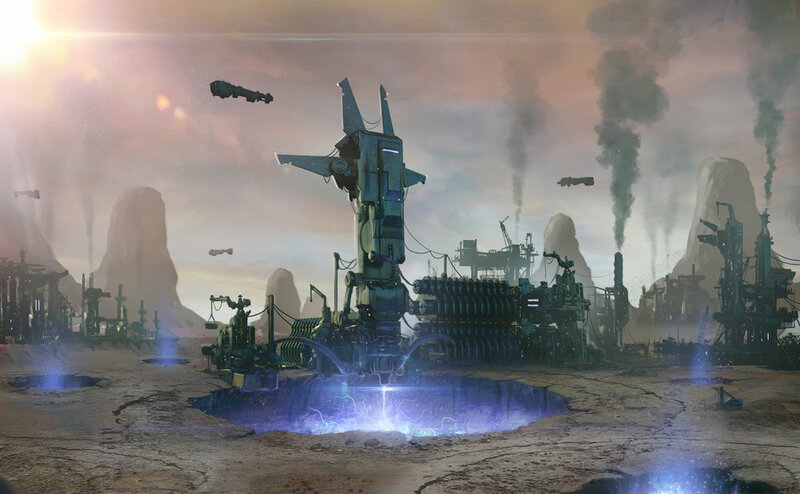 Feedback can be provided directly through our feedback form found here at the Alpha Program page of this site! This card represents a new design idea for condition cards. It functions in two separate ways. 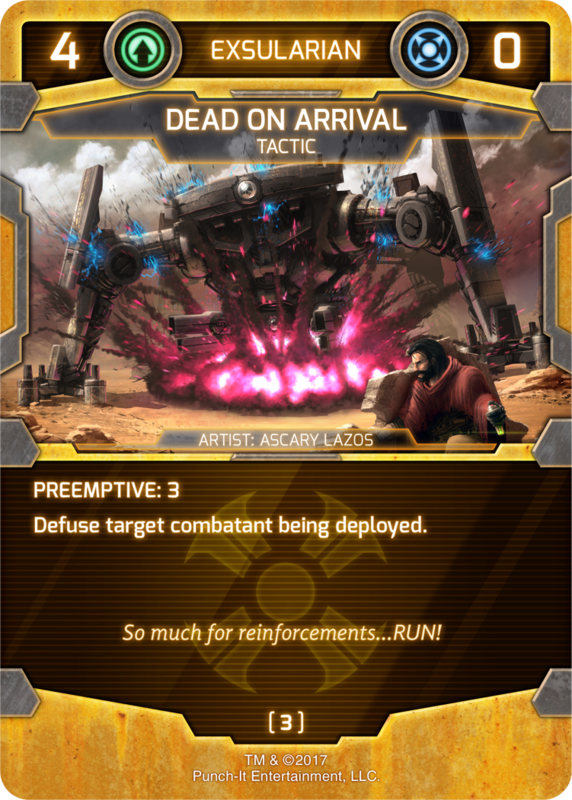 The first way is one in which the card gains tactical value in the form of playing the card in a similar fashion to the Mercenary card evasion. While the scope of Gods Among Men is limited to type 1 combatants, it further reinforces the theme we were building in The Battle Begins Starter Set. 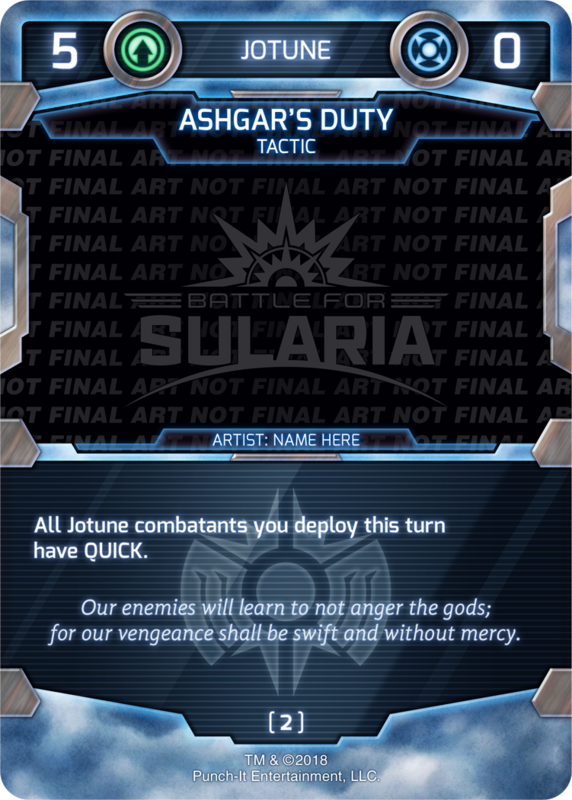 When your opponent attempts to target your powerful type 1 combatants, Gods Among Men springs to the rescue to protect them from those effects, however, since it is also a condition card it provides a powerful ongoing effect that indicates that future and existing type 1 combatants cannot be defused by effects. This particular play pattern is narrow, but offers protection from some of the most powerful cards in the format such as Dead on Arrival, and Sularium Tactical Assault Beam. This combatant gets +1/-1 until the end of turn. This combatant gets -1/+1 until the end of turn. This sort of flexibility combined with Specialist makes Simiann a force to be reckoned with on the battlefield. Many users ask how he functions, his attack value is facing the limiter of his defense value because if at anytime a combatant has a defense value of 0 it dies. However, on the defensive side, you may continue to make investments that would reduce a combatants attack value to 0 or below 0, while the defense value continues to climb. 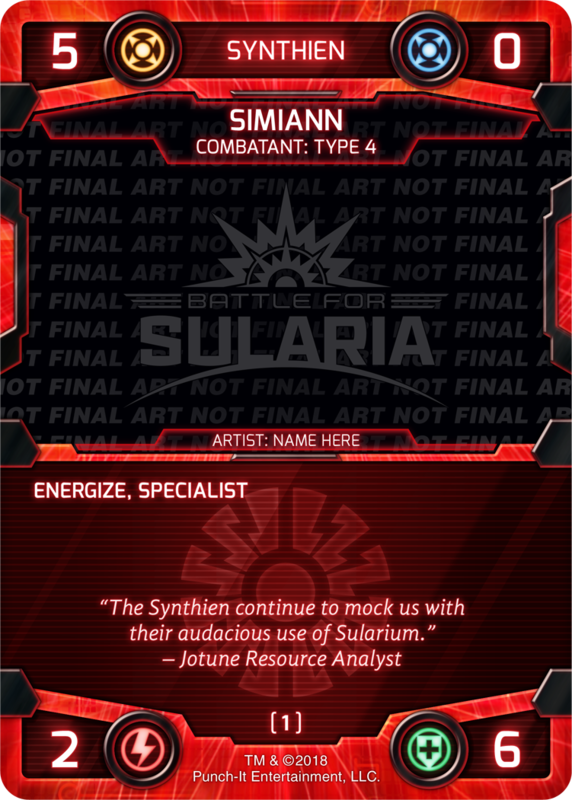 So, if you have 9 sularium, then you can invest 9 sularium into Simiann's -1/+1 ability to modify his stats to -7/15 making him a nearly impenetrable wall for one of your opponent's combatants. 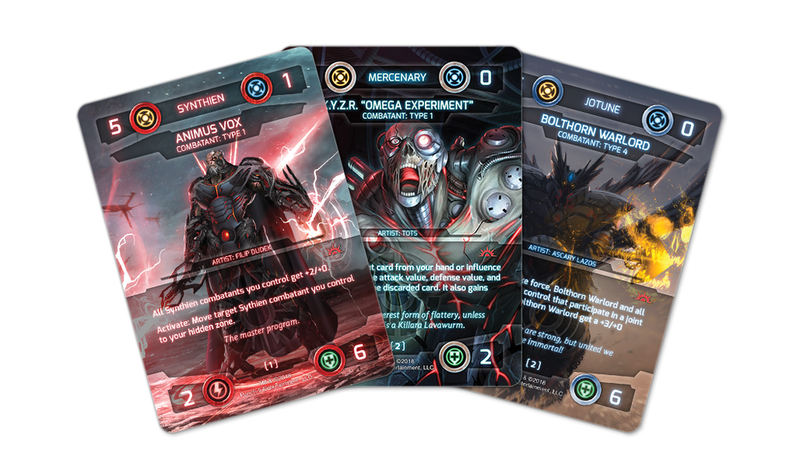 VIRUS has represented itself as a powerful ability that gives a player the ability to reduce incoming damage or potentially kill off major threats on an opponents board. VIRUS is a dangerous ability that opponents need to respect. A Protoan player has so many proactive ways to net value with Gorgarid while impacting their opponent's board state. Gorgarid is the type of combatant that provides that complete upside of combatant removal/reduction, with an affordable package in their decks. With a base attack of 2 and a base defense of 3 Gorgarid can focus by dealing 2 damage to a combatant on defense, and then die from combat damage or through a sacrifice outlet to put the two infection counters on that combatant, and effectively deal 4 damage that turn. 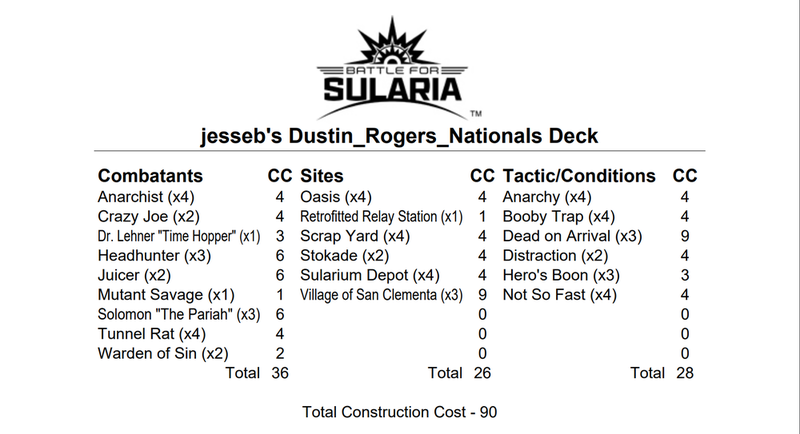 Dealing 4 damage for only 3 sularium and 1 construction cost is an excellent trade in the game. Hideout continues the theme of Influence matters. This time synergizing with Ruffian combatants. Hideout at 6 influence requires some work to get into play, especially when many constructed games only play to turn 6 or turn 7. 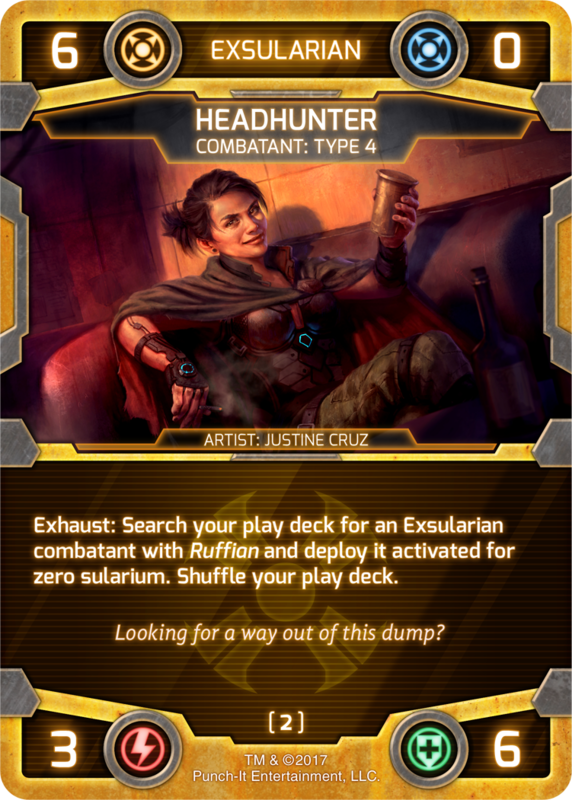 Combined with Power Broker, Exsularian players could see this site as early as turn 4, giving them plenty of opportunities to build up powerful sites, but the less obvious play is the impact that Power Broker and Hideout can provide to playing tactic and condition cards with higher threshold values. 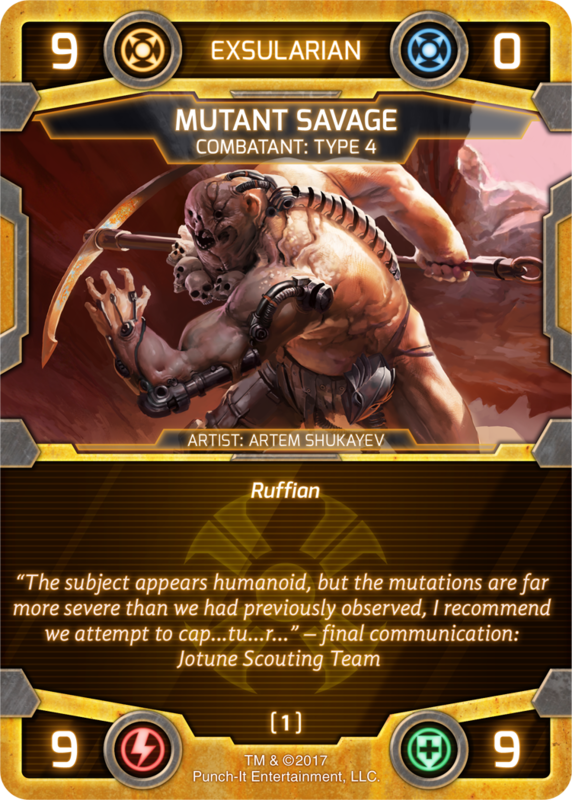 A player also gets additional value by being able to deploy their Ruffian combatants into the hidden zone reducing the number of opportunities that a player has to interact with those combatants. 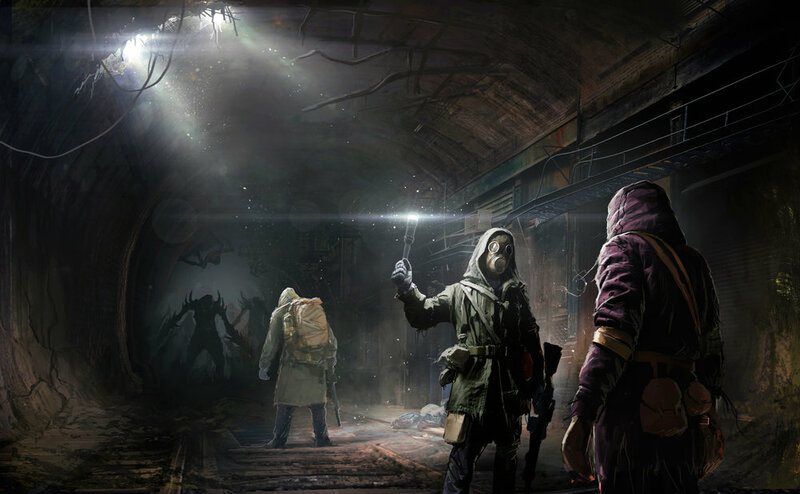 Powerful Ruffians such as Tunnel Rat become very difficult for an opponent to deal with and handle when they are in the hidden zone. 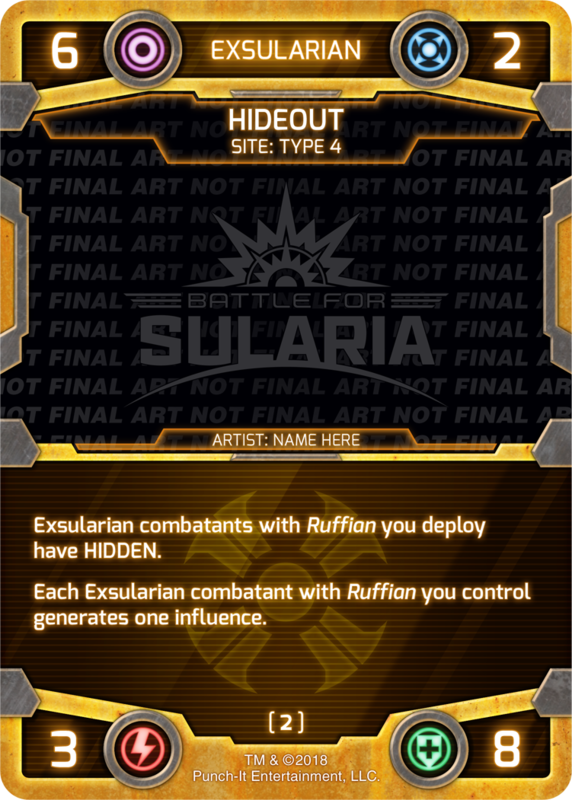 Additionally, with a sularium generation of 2, it provides a much needed sularium boost to play more expensive Exsularian combatants. 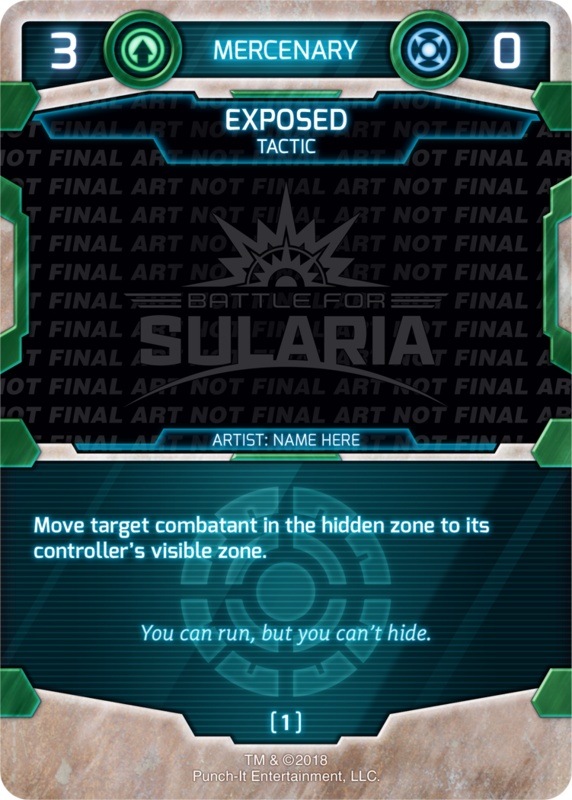 With a base attack of 3, it is single-handedly one of the most powerful Exsularian sites and a prime target for It's a Trap. Additionally with a hardy 8 defense, an opponent will need to commit serious firepower to the sites removal. This month's Alpha Program Promo Cards are an absolute must-have for any Jotune or Synthien player's collection. 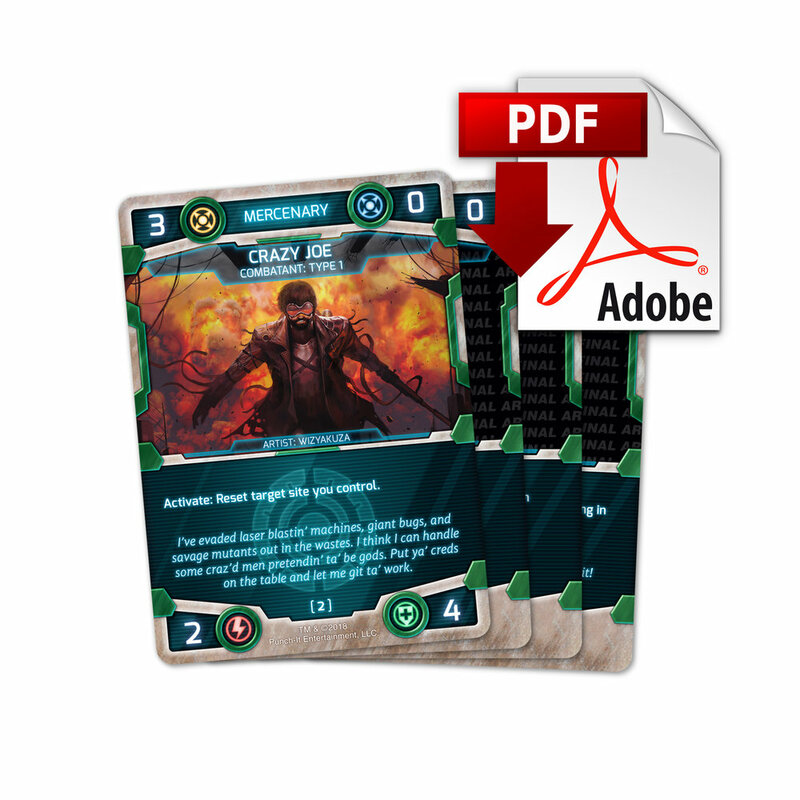 For those of you tournament players who have asked how to update cards we have errata'd, then Centropolis will give you an outlet to do just that! These cards will remain in the store until September 18th, 2018! One last little bit of information, if you didn't see on the Full-Art Booster Pack blog post we have added a checklist that covers every card we've released to date. It is up to date and includes the current Alpha Edition promo cards. If you are attempting to be a collector then this checklist is a must have!